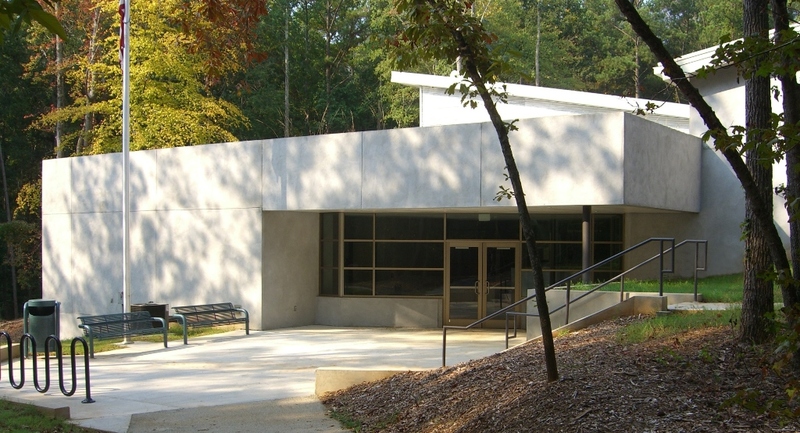 The Visitors Center serves as a gateway to the park and includes museum exhibit areas, retail, administrative offices, multi-purpose meeting rooms, a water quality lab / classroom, and restrooms. 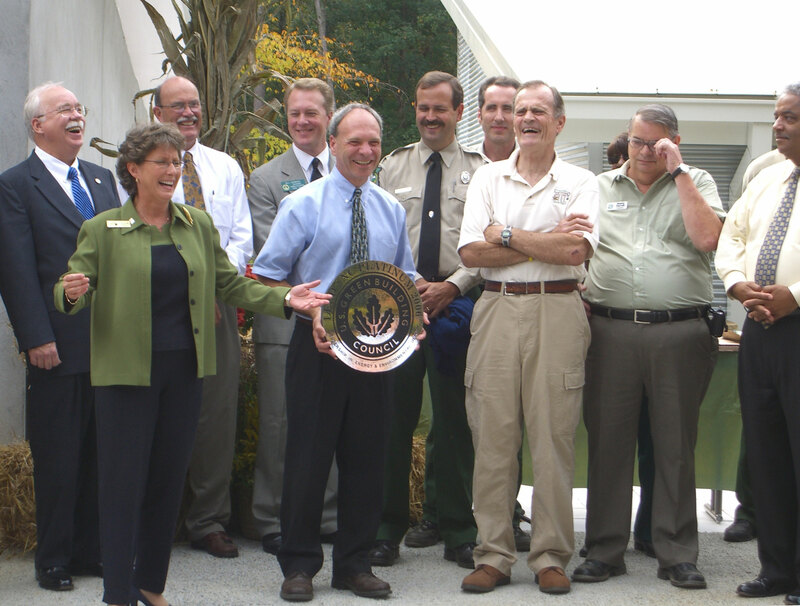 It has received the Leadership in Environmental Design (LEED) Platinum Certification from the U.S. Green Building Council. 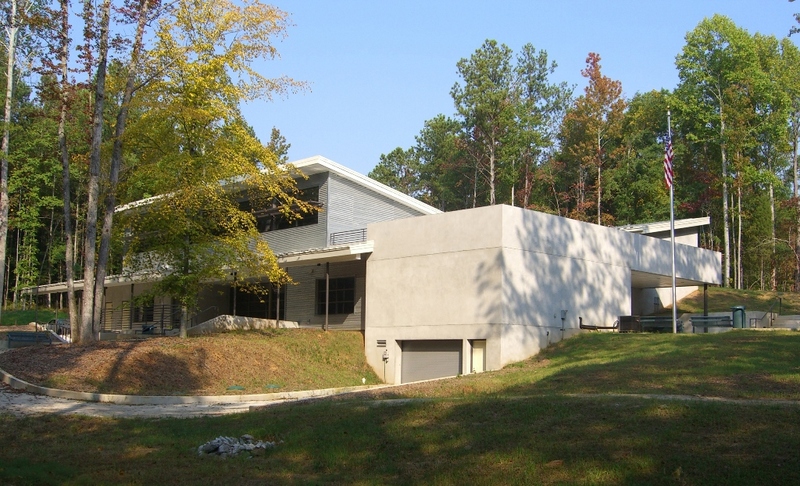 At the time of certification, this project was one of only 20 LEED-NC (new construction category) Platinum buildings in the world and the first in the southeastern United States. 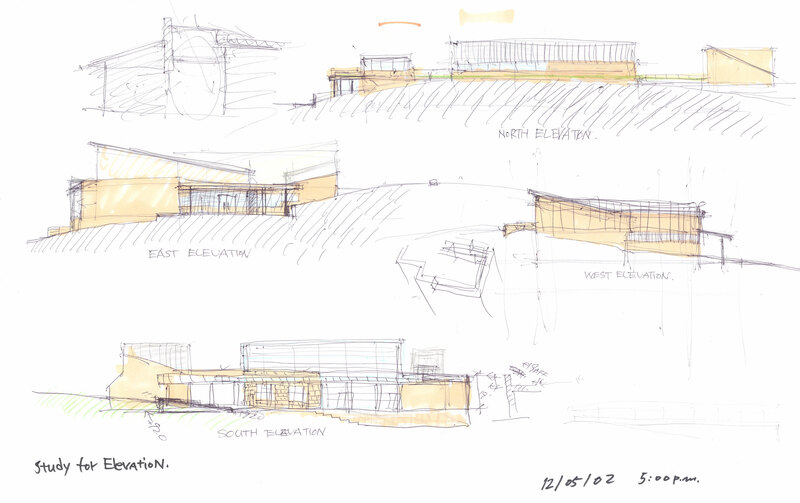 The project’s innovative design solution begins with the integration of building and site. 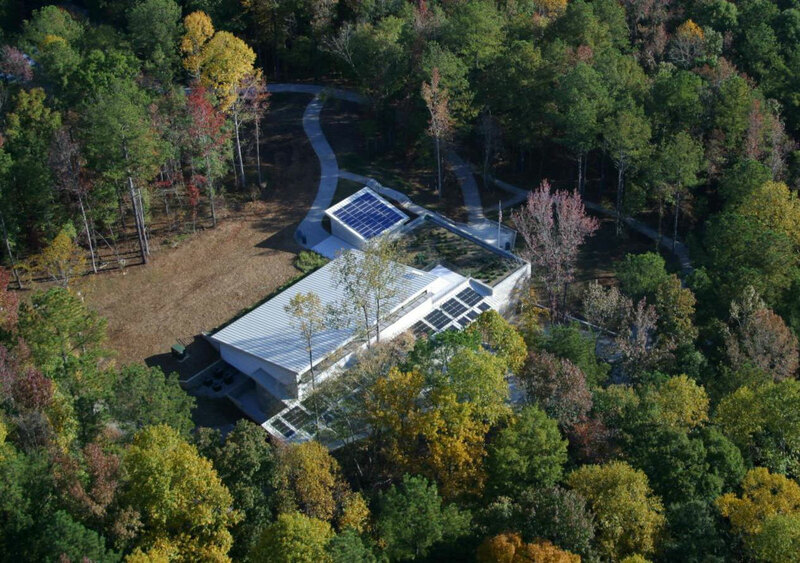 The design team tucked the building into the hillside resulting in an energy-efficient building envelope while minimizing its visual and physical impact to the site. 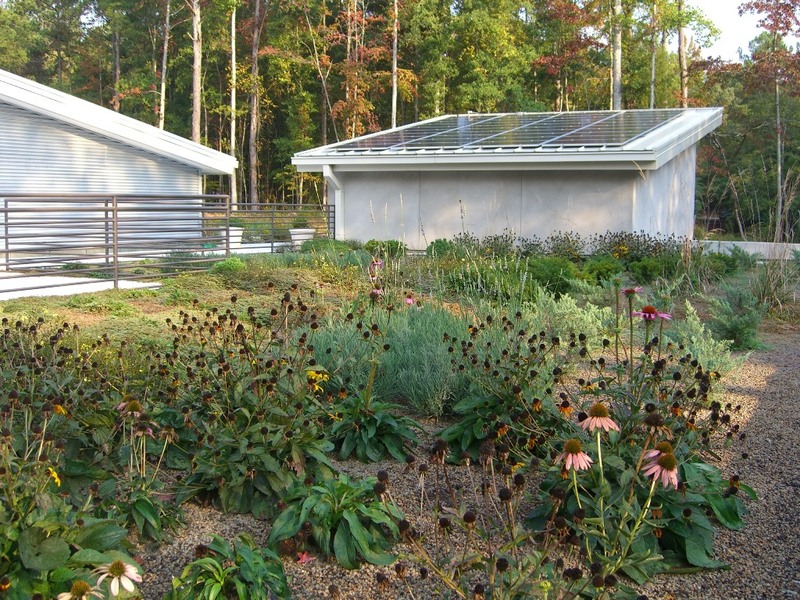 Approximately 35% of the building’s roofs are vegetated with native plant species. 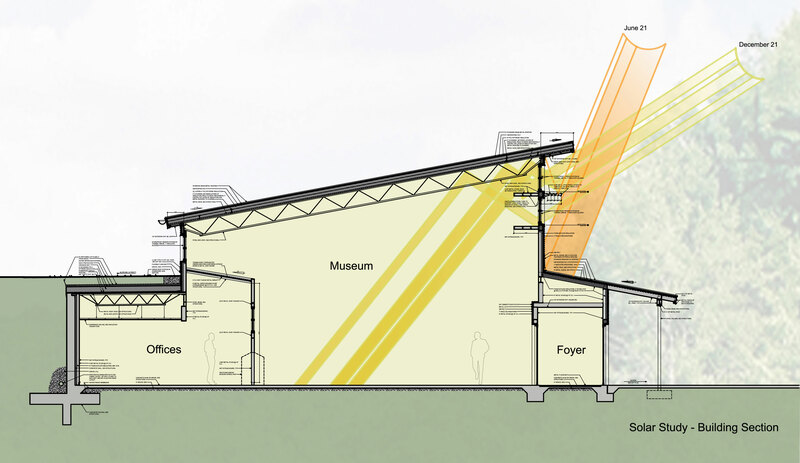 The building’s orientation and sun-controlling features allow the sun to passively warm the interior in winter, while virtually eliminating direct solar gain in summer. 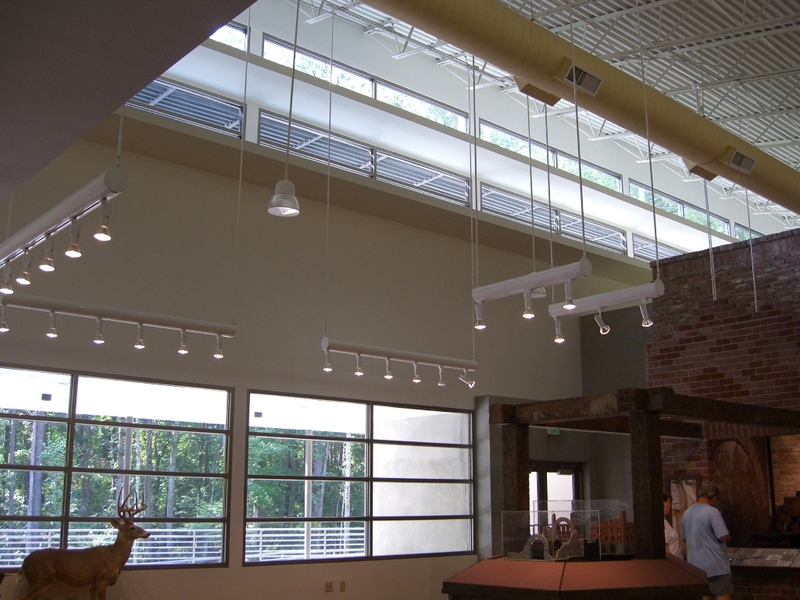 Interior day-lighting is optimized through the use of clerestory windows along the north side of the building for indirect lighting and interior light shelves along the south-facing windows to bounce light deeper into the space. 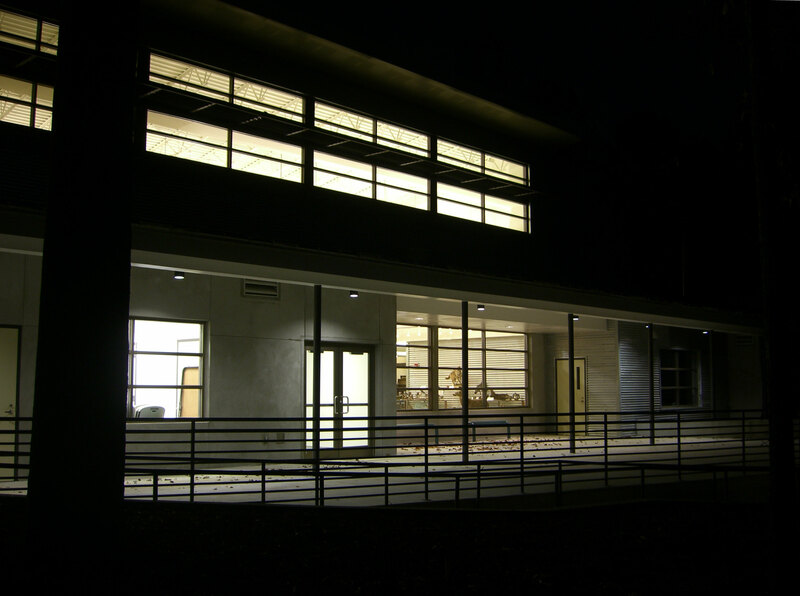 General lighting in the building is controlled through the use of photocells and motion sensors. 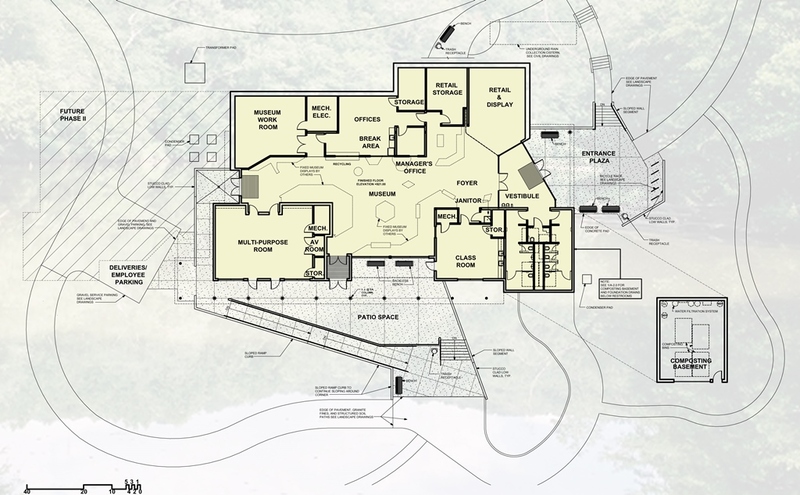 This project is not connected to a sewer and does not utilize a conventional septic system. 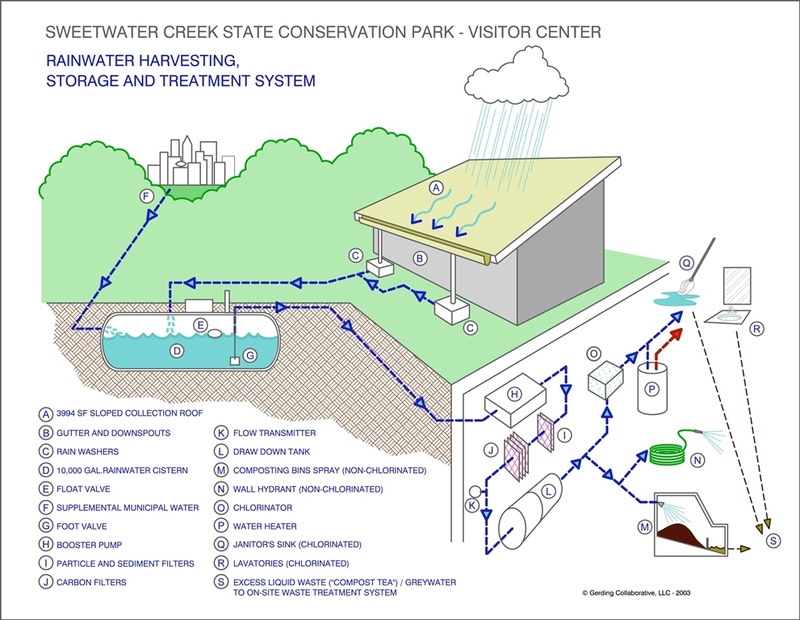 Waterless urinals and composting toilets deliver their products to four composting bins located in a basement below the restrooms. 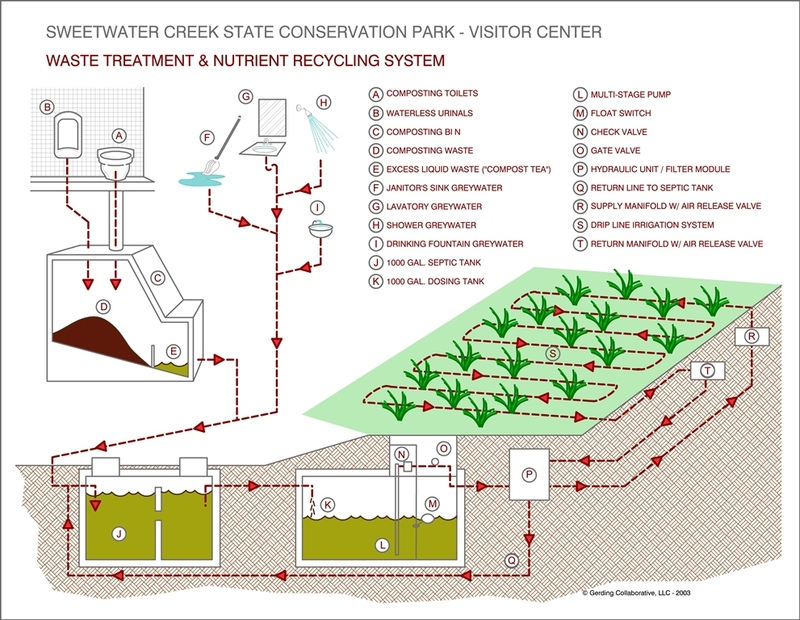 The waste volume is substantially reduced as micro-organisms convert it to nutrient-rich compost, a beneficial soil amendment. 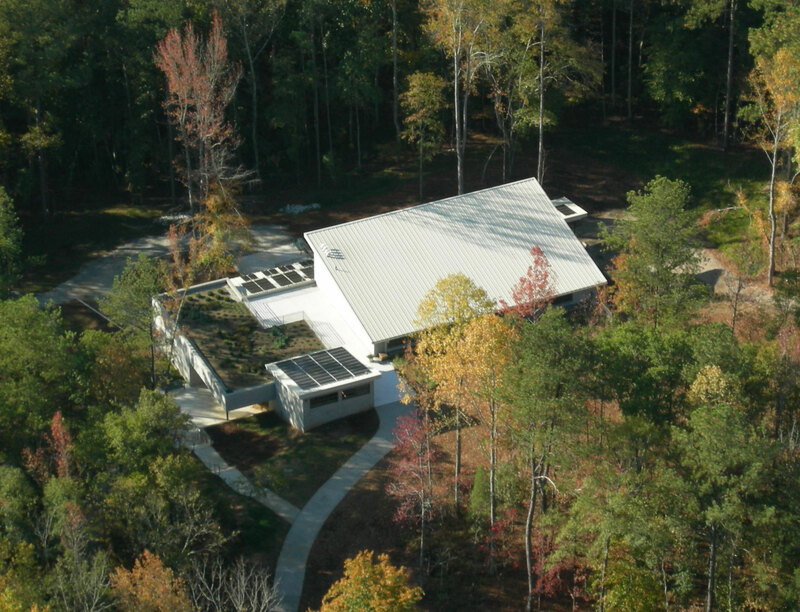 Nitrogen-rich liquid from the compost bins is combined with the building’s grey-water before being fed to a demonstration garden through drip irrigation lines at the root level of the plants. 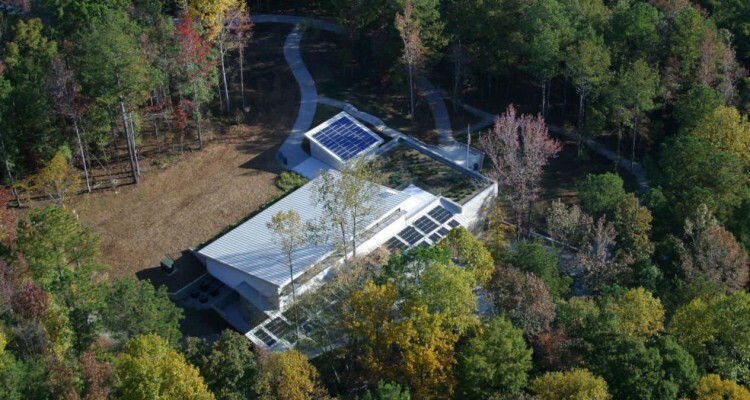 This “off the grid” waste utilization strategy will save approximately 82,000 gallons of potable water per year, eliminate any contribution to a centralized waste treatment plant, and demonstrate a “cradle to cradle” ethic by converting waste to plant food. Within this system, the concept of waste, and its burden, is eliminated. 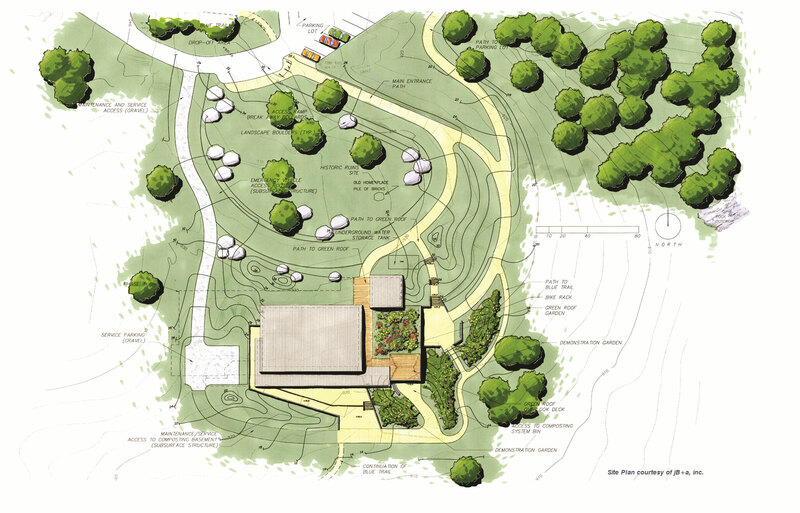 This entry was posted in Green Building & LEED, Institutional, Parks & Recreational. Bookmark the permalink.